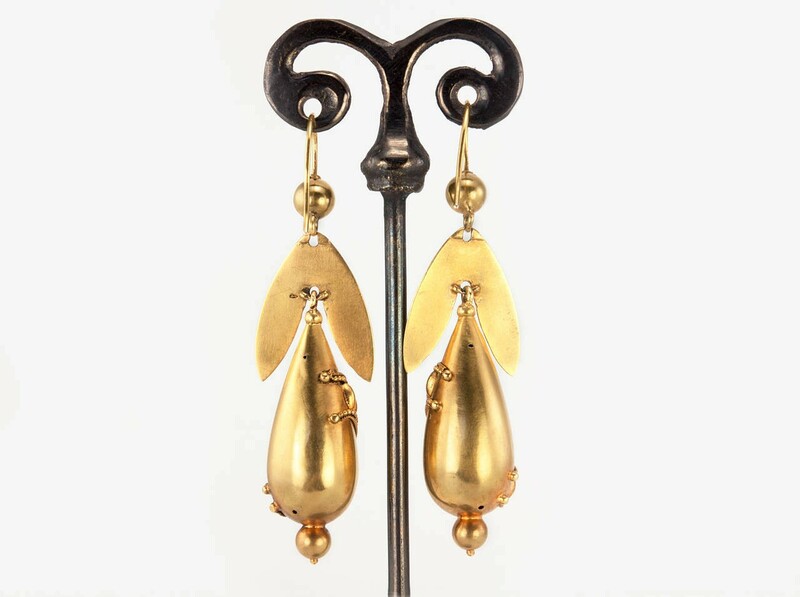 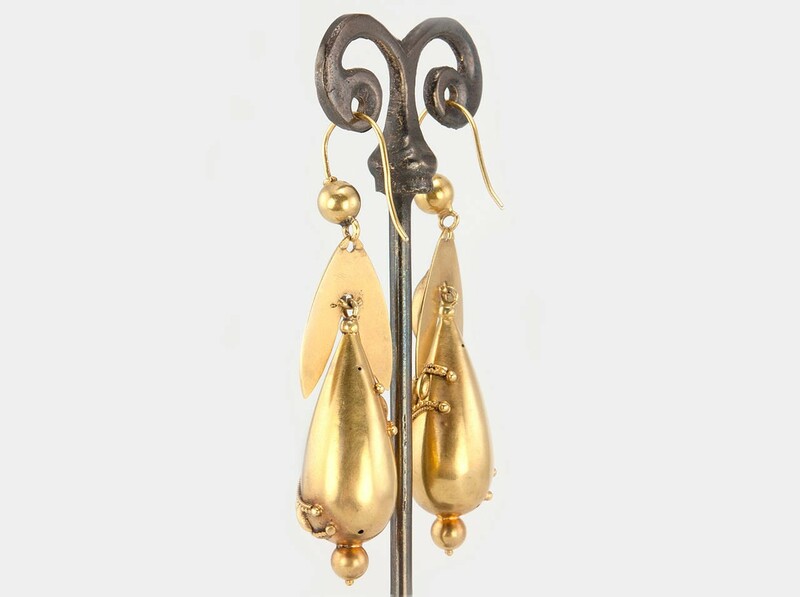 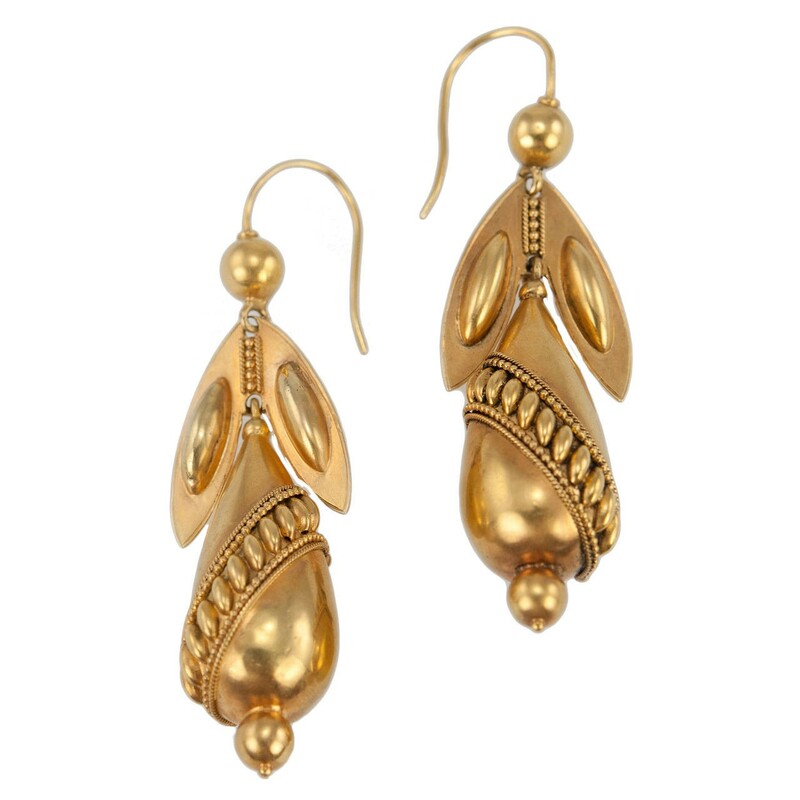 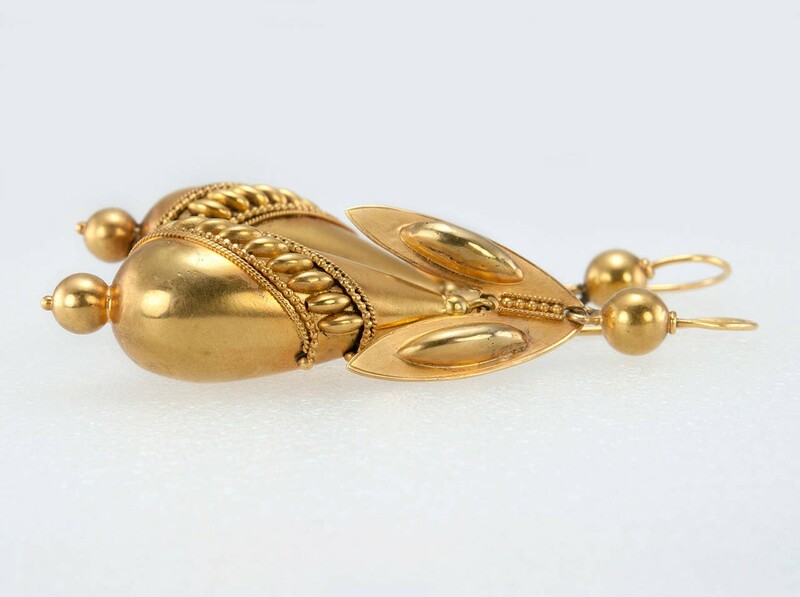 A very cool pair of Victorian 14 karat yellow gold dangle earrings. 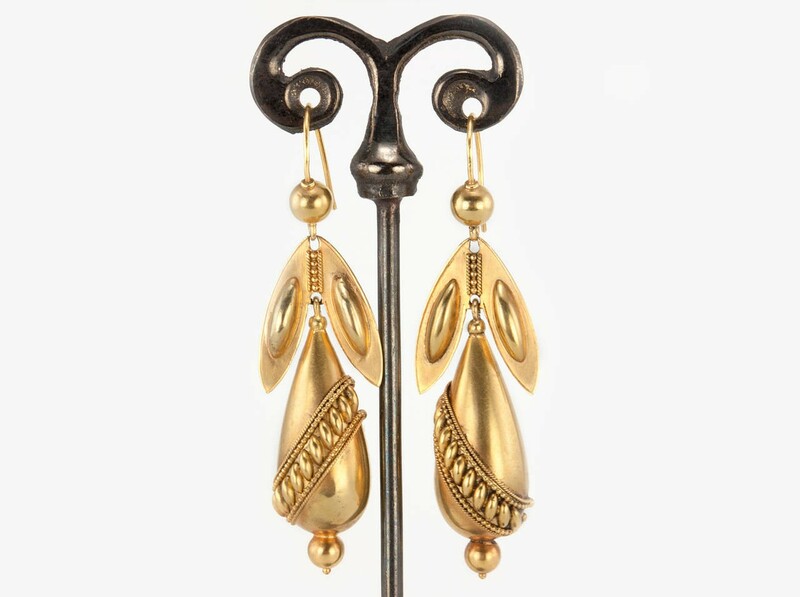 These earrings were made in the fashionable Archeological Revival styles that were popular around this time, circa 1870s-1890s. 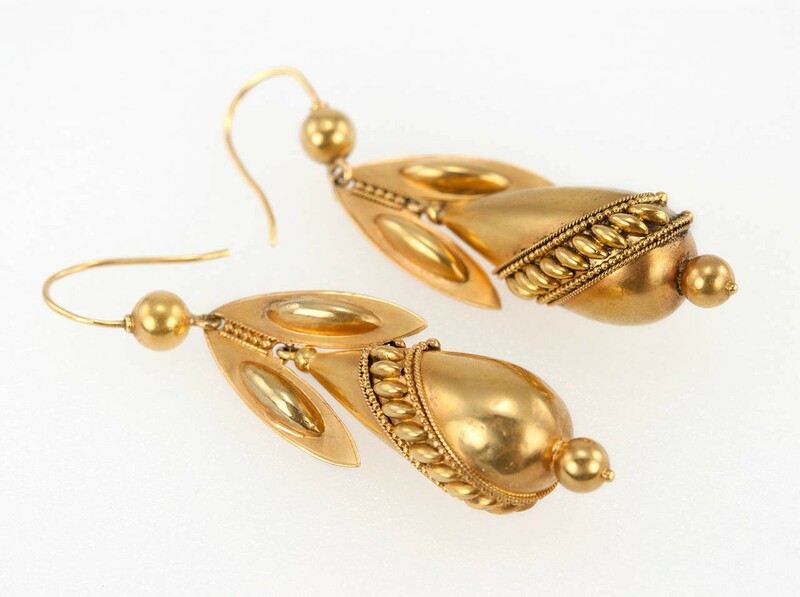 They feature lovely Etruscan Revival granulation techniques. 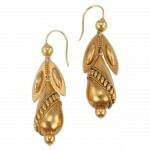 Since the earrings are hollow, they are very light and comfortable for all day wear. 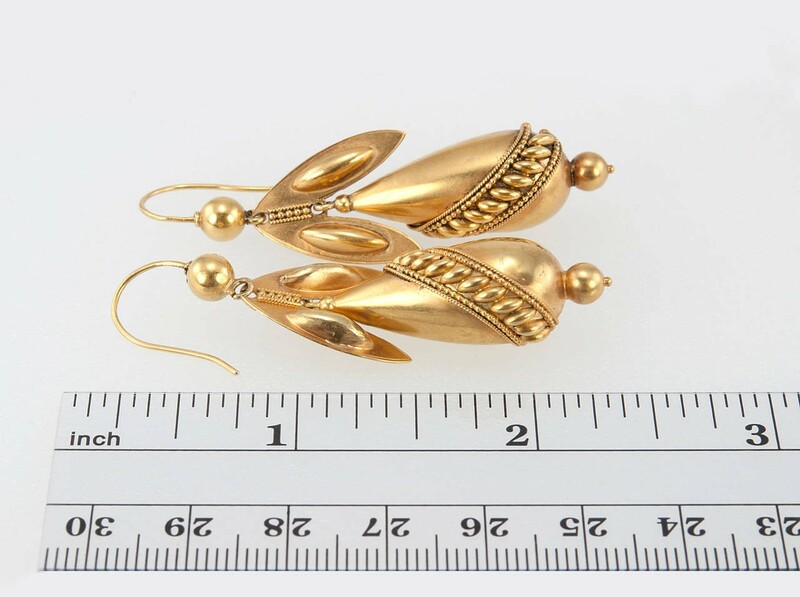 The earrings measure approximately 1.90 inches in length, 0.67 inches in width, and 0.52 inches in depth.